Wing shooting in South Africa has gained increasing popularity in the last few years and it can easily be added to any big game or plains game hunt at NyatiWilderness. The majority of the bird shoots are conducted in the central part of South Africa, in Free State, as well as the Western Cape. In these avian-rich areas, hunters can test their skill on a variety of bird species including pigeon and several varieties of dove and waterfowl. Bird hunting seasons vary from area to area, but generally March through to September are the prime months. The use of a 12ga shotgun is strongly recommend as they are adequate for all huntable species and ammunition is readily available. But it is not necessary for you to bring either across the pond, as Kwalata has an ample supply of both guns and ammunition. 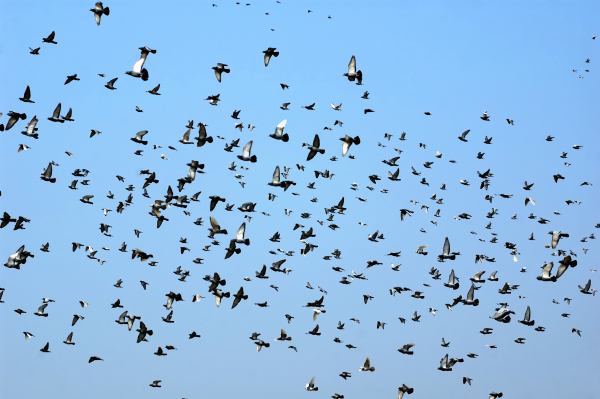 For some really hot barrel shooting, nothing can beat the immense flocks of pigeons and doves shot over sunflower or cornfields. These areas in the flat granary farming districts of the Free State and North West provides for some of the finest pigeon shooting. The diversity of bird species available insures a varied wing shooting experience in South Africa. Waterfowl are mostly shot from blinds and over decoys. Kwalata recently secured an area just outside Cape Town for this purpose. Steeped in history, Cape Town is host to a multitude of attractions; Table Mountain, now one of The Seven Wonders of Nature, fantastic restaurants, The Castle, beaches, forests and wine farms to name a few.